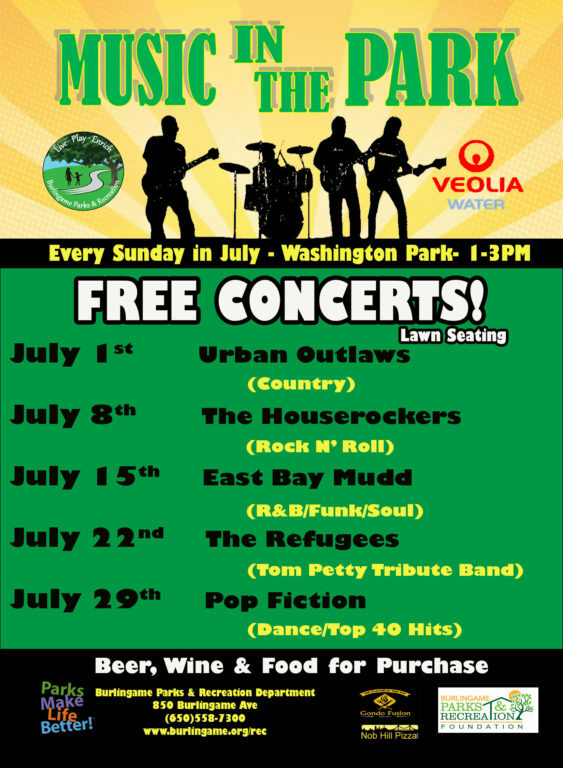 Burlingame Parks and Recreation Department in concert with Veolia Water proudly present this year’s Music in the Park Concert Series in Washington Park, all Sundays in July from 1 pm to 3 pm. In addition to the concert, they will have face painting and ice cream for the kids. 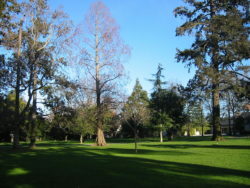 Food is available to purchase or you are invited to bring a picnic and chairs to enjoy the music. Also, the Burlingame Art Society will be on-site hosting open houses at each concert to display some of their amazing artwork. Lovin’. Dancin’. Laughing. Crying. Winning. Losing. Drinking. and fishing, of course. These are topics your pals in Urban Outlaws can speak about with authority, but they’d rather sing about ’em. The Outlaws combine for a staggering amount of experience. Individually, they’ve been major label recording artists, and internationally touring performers, sometimes sharing stages with the likes of Willie Nelson and Dwight Yoakum. 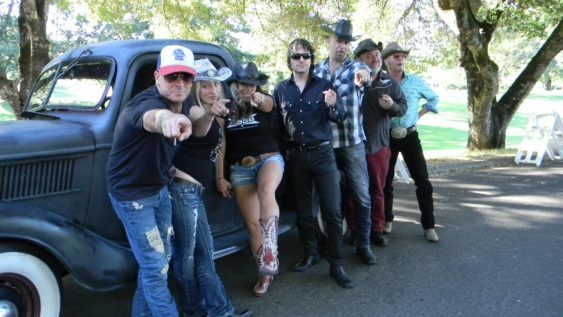 Together they’re a mighty musical force bringing chops and style to the country songs they love.